Teradata (NYSE: TDC), the industry’s only pervasive data intelligence company, today announced that its Board of Directors has appointed Oliver Ratzesberger President and Chief Executive Officer (CEO), effective immediately. Ratzesberger succeeds Victor L. Lund, who is transitioning from his role as President and CEO to Executive Chairman of the Board of Directors. Ratzesberger has served as Teradata’s Chief Operating Officer (COO) since February 2018, responsible for the Company’s global operations and leading its strategies for go-to-market, products and services. 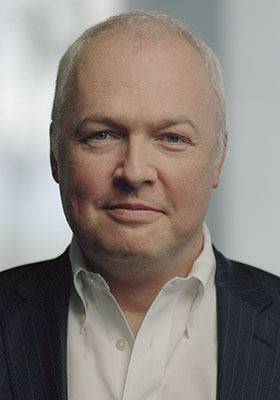 He joined Teradata in 2013 and, from 2016 to 2018, served as the Company’s Executive Vice President and Chief Product Officer, leading Teradata’s research and development organization, following a distinguished career in advancing innovation in technology at both established and start-up companies. While COO, Ratzesberger worked alongside Lund in architecting and implementing the Company’s transformation. This appointment reflects the Board’s confidence in Ratzesberger as Lund’s successor, and in the continued execution of the Company’s strategy as well as the development of its culture and values. Teradata also announced today that, although final results will not be available until normal year-end review procedures are completed, it currently expects the Company’s fourth-quarter and full-year 2018 total revenue, recurring revenue and annual recurring revenue (ARR) results to be in line with, or better than, its most recent guidance. Teradata will not be providing any additional information regarding its fourth-quarter or full-year performance until it reports final results in early February 2019. In connection with Lund’s appointment to Executive Chairman, the Board has appointed Michael Gianoni, a member of the Board of Directors since January 2015, as independent Lead Director, effective immediately. James Ringler, who has been Chairman of Teradata since 2007, will remain a member of the Board. Oliver Ratzesberger is the president and chief executive officer of Teradata Corporation and has been a member of the company’s board since November 2018. Previously, he served as Teradata’s chief operating officer, with global operating responsibility for the company’s operations and led the company’s strategies for go-to-market, products and services. Ratzesberger has an extensive background in analytics, big data and software development. Prior to Teradata, he worked for both Fortune 500 and early-stage companies, holding positions of increasing responsibility in software development and IT, including leading the expansion of analytics at eBay. A pragmatic visionary, Ratzesberger frequently speaks and writes about leveraging data and analytics to improve business outcomes. His recent book with co-author Mohanbir Sawhney, “The Sentient Enterprise: The Evolution of Decision Making,” was published in 2017 and was named to The Wall Street Journal Bestseller List. Ratzesberger is a graduate of Harvard Business School’s Advanced Management Program and earned his engineering degree in Electronics and Telecommunications from HTL Steyr in Austria. He lives in San Diego with his wife and two daughters. Victor Lund served as Teradata’s president and chief executive officer from May 2016 until Ratzesberger’s appointment. He has been a member of Teradata’s board since September 2007 and was the chair of the Audit Committee from 2007 until May 2016. Michael Gianoni is the president and chief executive officer of Blackbaud, Inc., a provider of software and services specifically designed for nonprofit organizations, a position he has held since joining the company in January 2014. He has been a member of Teradata’s board since January 2015 and chair of the Committee on Directors and Governance since February 2017. This news release contains forward-looking statements within the meaning of Section 21E of the Securities and Exchange Act of 1934. These forward-looking statements are based upon current expectations and assumptions and involve risks and uncertainties that could cause Teradata’s actual results to differ materially. In addition to the factors discussed in this release, other risks and uncertainties could affect our future results, and could cause actual results to differ materially from those expressed in such forward-looking statements. Such factors include those relating to: the global economic environment in general or on the ability of our suppliers to meet their commitments to us, or the timing of purchases by our current and potential customers, and other general economic and business conditions; the rapidly changing and intensely competitive nature of the information technology industry and the data analytics business, including the increased pressure on price/performance for data analytics solutions; fluctuations in our operating results, unanticipated delays or accelerations in our sales cycles and the difficulty of accurately estimating revenues; failure to realize the anticipated benefits of our business transformation program, divestitures, senior management changes, or other restructuring and cost saving initiatives; risks inherent in operating in foreign countries, including the impact of economic, political, legal, regulatory, compliance, cultural, foreign currency fluctuations and other conditions abroad; the timely and successful development, production or acquisition and market acceptance of new and existing products and services, including our ability to accelerate market acceptance of new products and services as well as the reliability, quality, security and operability of new products because of the difficulty and complexity associated with their testing and production; tax rates; turnover of workforce and the ability to attract and retain skilled employees; availability and successful exploitation of new acquisition and alliance opportunities; our ability to execute integration plans for newly acquired entities, including the possibility that expected synergies and operating efficiencies may not be achieved, that such integration efforts may be more difficult, time-consuming or costly than expected, and that operating costs, customer loss and business disruption (including, without limitation, difficulties in maintaining relationships with employees, customers, clients or suppliers) may be greater than expected following the transaction; recurring revenue may decline or fail to be renewed; changes in Generally Accepted Accounting Principles (GAAP) and the resulting impact, if any, on the company’s accounting policies; continued efforts to establish and maintain best-in-class and secure internal information technology and control systems; and other factors described from time-to-time in the company’s filings with the U.S. Securities and Exchange Commission, including its annual report on Form 10-K and subsequent quarterly reports on Forms 10-Q, as well as the company’s annual reports to stockholders. The company does not undertake any obligation to publicly update or revise any forward-looking statements, whether as a result of new information, future events or otherwise.